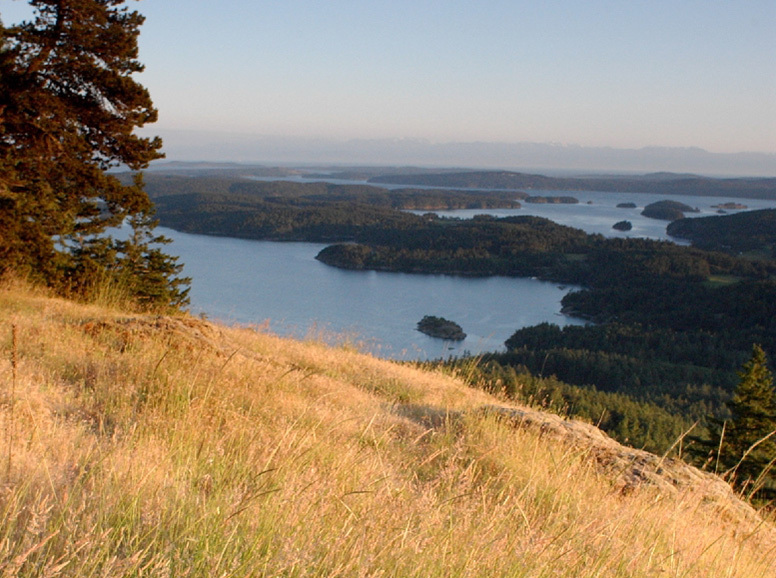 Turtleback Mountain is perhaps the San Juan Islands' most distinctive geographic feature. Visible from throughout the archipelago, the mountain served as a landmark for the Salish people of the Northern Straits as they traveled across their villages and fishing grounds. The mountain was put on the market in 2005 and could have been developed for 78 private home sites, but the owners agreed to give the community time to purchase the iconic landscape. The San Juan Preservation Trust, a local land trust, and the San Juan County Land Bank, a publicly funded land conservation group, asked The Trust for Public Land to help raise the $18.5 million needed to buy the mountain and then to complete the transaction. By 2007, the property was opened to the public as the Turtleback Mountain Preserve.